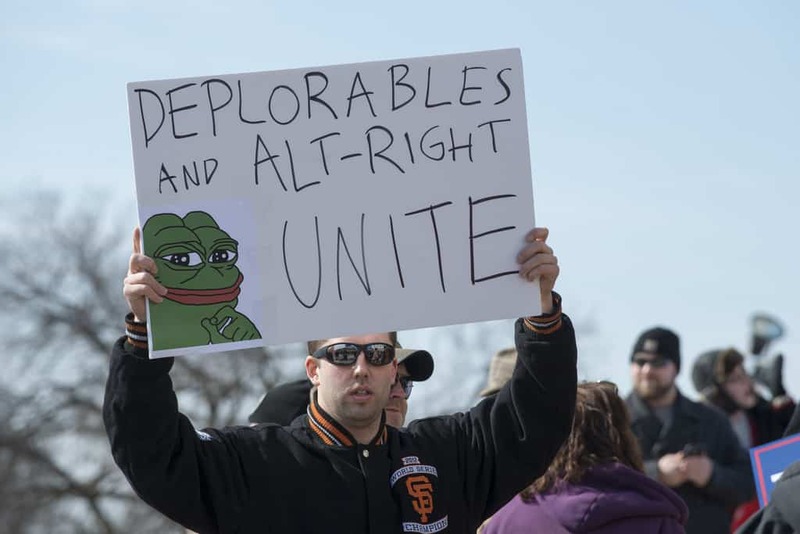 An alt-right friendly group called ACT for America has announced that a big swash of “America First” rallies are being canceled, proving that sometimes good things still do happen. The infamously anti-Muslim group (they were behind June’s “March Against Sharia”) had planned 67 rallies in 36 states to show support for “common sense ‘America First’ security policies” and celebrate policies that “prioritize real protection over political correctness, and celebrate American exceptionalism.” If you’re new here, that type of language is full of dog whistles for the sort of white nationalist, KKK-friendly, Neo-Nazi and anti-immigrant crowd that turned the Charlottesville protests into a deadly riot. As Chairman of the Democratic Coalition John Cooper tweeted, there is a good deal of speculation that the real motivation behind canceling the rallies has not to do with fear of violence, but fear of looking dumb. The alt-right rally in Boston was dwarfed by peaceful counter protests, and when ACT for America took to Facebook in an attempt to rally supporters for more and larger protests it didn’t go great. As Gizmodo notes, a second rally in Boston only had eight people RSVP’d. A planned rally in Washington D.C. had just three. None of the rallies Gizmodo was able to report on had an RSVP list that had reached double digits. With numbers like that, cancelling was about the only sensible thing to do. ACT for America says it will replace its rallies with an online event called the Day of ACTion. Exactly what that is remains unclear, but the internet remains the natural habitat of alt-right groups, where they can tweet Pepe the Frog memes in between rounds of Overwatch.